As an Executive Director, Joe is responsible for the growth of the Retail Services business in Hong Kong. By utilizing his vast experience in the marketplace, Joe has developed extensive dealings with major landlords and tenants. Joe Lin was working in Retail agency team of Vigers Hong Kong Ltd from 1994 to 2002, was the acting Head of the team before he left in 2002. After that, he joined Sun Hung Kai Properties Ltd. as a Senior Leasing Manager to oversee 3 shopping centres in their portfolio. He joined CBRE Limited in 2004, as Director of Retail Services Department. Joe had handled several notable sole leasing agency retail leasing projects in Hong Kong, these include: (From 1996 – present) Grand Century Place (Mongkok), Miramar Shopping Centre – New Phase (Tsimshatsui), Metro City Plaza 2 (Tseung Kwan O), Nan Fung New Town (Tsuen Wan), CTMA (Mongkok), Olympic Plaza (North Point), The Pulse (Repulse Bay), Domain (Yau Tong MTR) etc. In Sun Hung Kai Properties (2002-2003), Joe introduced a brand-new retail concept in Tsuen Wan Plaza, called “Dreamland” – the first playground type kid’s merchandise outlet in Hong Kong. After joining CBRE Limited, Joe had participated in the high profile retail project of Taiwan High Speed Railway (2005) – to assist in retail concept formation of their seven stations and the surrounding commercial development throughout Taiwan Island. In HK, he worked with DFS for their HK & Macau retail plan; assisted Tiffany & Co for several shop acquisition and lease renewals; closed the deal for adidas to open their Asia Pacific largest flagship store; introduced the first M&S simply food store in HK; as a retail consultant of Bose in HK. In recent years, he had also confirmed many leasing deals with the international brands include: Ted Baker (UK), Venchi (Italy), ItsImagical (Spain), Samsung (Korea). 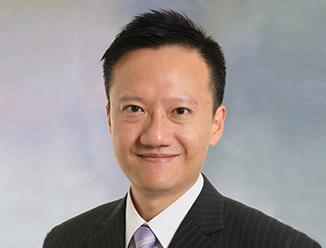 In 2012, he was the Project Director to handle the brand new shopping mall project in East Kowloon, called Domain, the first project HK government ever appointed private real estate professional to be the sole leasing agent, and it achieved 99% occupancy upon its grand opening with several new retail concepts and brands freshly introduced to government shopping malls.